2009 review After leaving the post of Visit London commercial director in 2009, Hornby turned his attention to England 2018. Hornby is working to secure the Fifa World Cup for the country in 2018. "He strives to get London and the UK as much business as possible," says freelancer project manager Fiona McGrory. 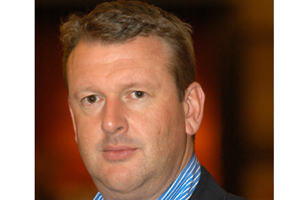 2010 focus Having joined Smyle as a non-executive director, Hornby has ambitions to boost the agency's growth, as well as support the World Cup bid.